Ordered a King size for my Queen bed as the "FULL QUEEN" would have been too skimpy. Not blue as pictured, but more of a grayish blue. I like the fact that this bedspread has both QUILTING and CHENILLE, which I very much like. What is the size of a TWIN??? BEST ANSWER: Thank you for your question. The measurements for the twin size are 110" long x 80" wide. We hope this information will be of help to you. 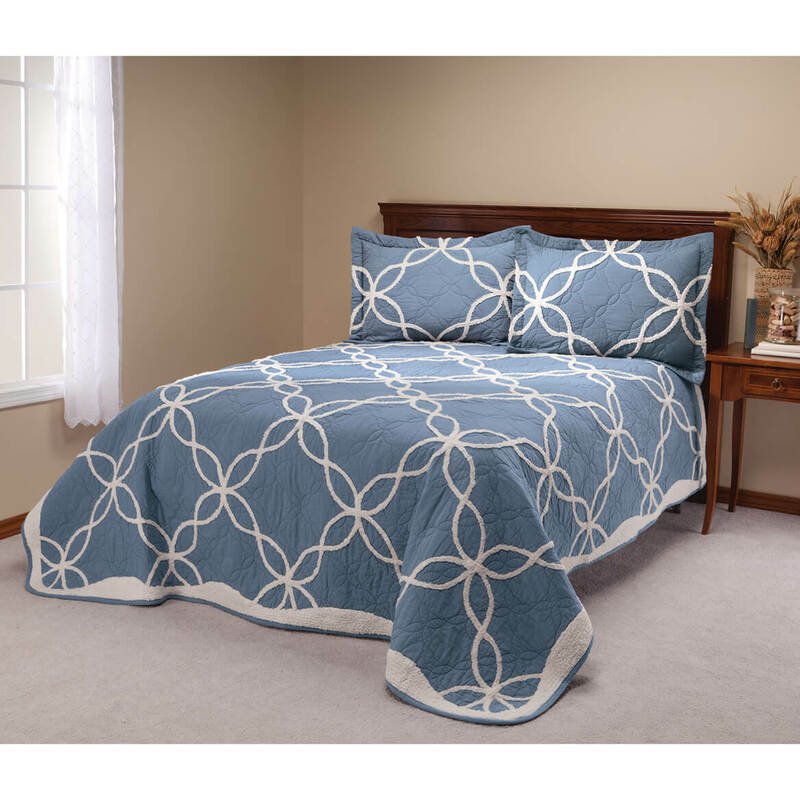 Te Sophie Chenille Bedspread by Oak ridge/will this bedspread fit a twin xl? BEST ANSWER: Thank you for your question. The twin size will only fit a regular twin size bed. We hope this information will be of help to you. What are the dimensions of the "FULL QUEEN"? BEST ANSWER: Thank you for your question. The Full/Queen is .75 h X 90 L X 90W and weighs 6.31 lbs. We hope this information will be of help to you. 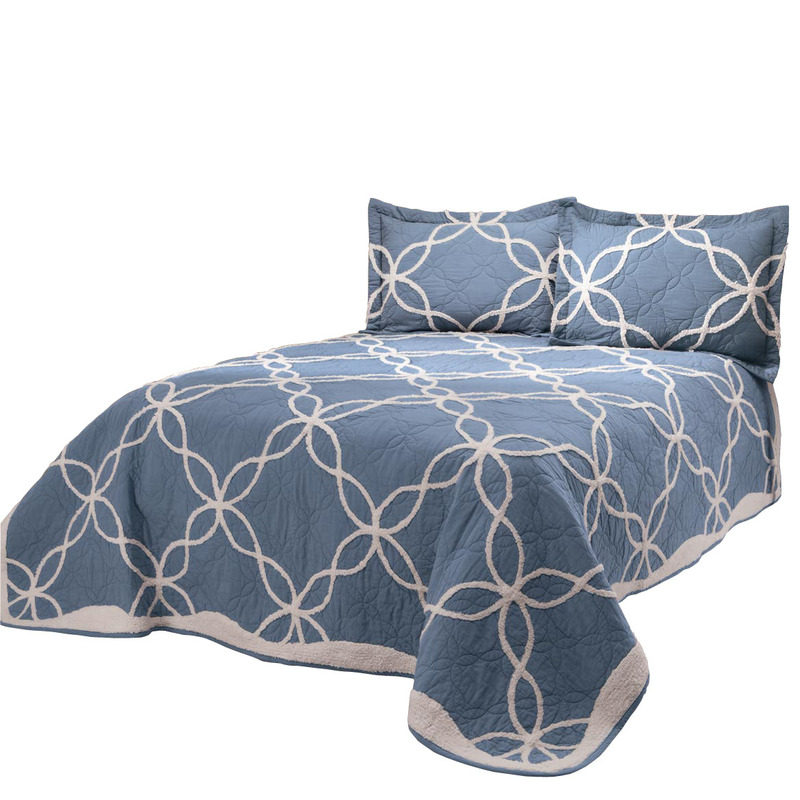 What are the dimensions of the king quilt? BEST ANSWER: Thank you for your question. This item measures 94" x 102". We hope this information will be of help to you.